Bit of a long one this month I’m afraid, but please read on, there’s a lot to tell…. 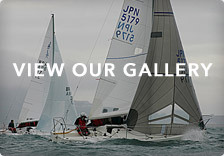 UK J/24 Nationals @ Plymouth – 4 to 7 July – Entry Form in fixtures section of website… please enter now… we are expecting around 30 teams including past champions, teams building up to the Worlds in Howth and others wanting to measure themselves against the top J sailors…. 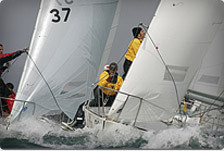 We have already had confirmations that amongst others the event will feature Mike Ingham and team – top 5 in last 3 J/24 World Championships, the Il Ricco team – multiple UK National and European champions, the Serco team – multiple UK National and European Champions, Flor O’Driscoll – multiple Irish National Champion, as well as Jiggy2 and Madeleine who have won the last two UK events… competition throughout the fleet is likely to give us all some incredible racing – the social arrangements look fun as well! We have also been offered the chance and agreed to carry the Tack Tracker System at the J/24 UK Nationals courtesy of SailRacer – these units will be mounted to each boat and give supporting teams ability to watch us online to see where we are round the race course and how much we have made up or thrown away with each dropped tack or slick gybe….